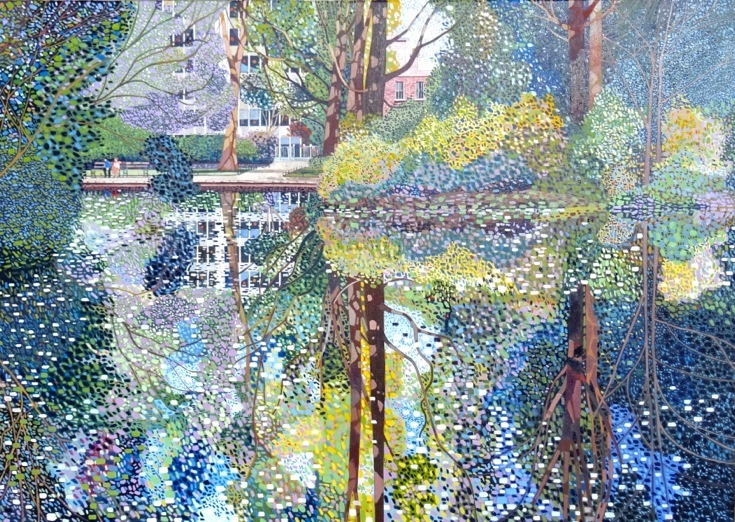 Victor Richardson carries on the exploration of colour vibration pioneered by Pointillism and Divisionism in the late 19th and early 20th Century. Like Seurat and Signac he intensifies the relationship between colours by placing contrasting pigments beside one another in small strokes, dashes and spots. This tessellation creates a shimmering luminosity of warm and cool hues. 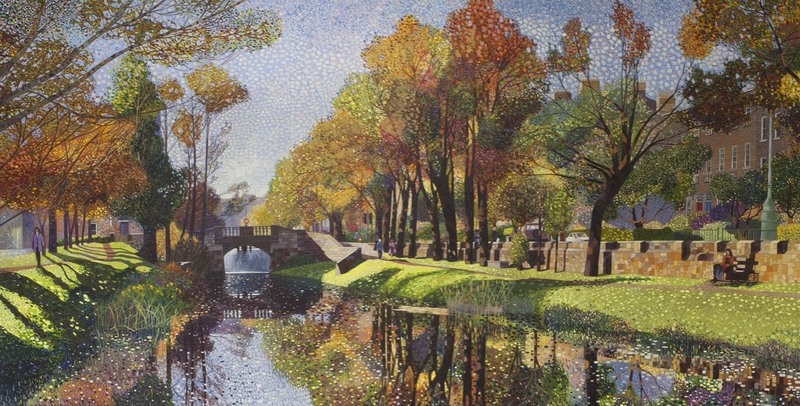 For much of his career, Richardson has painted a recurring motif of trees and water, taking inspiration from the rivers and canals of Ireland, England and France. Across the Atlantic he has been drawn by the ponds and swamps of the Carolina Low Country in the American South, exhibiting regularly in Savannah, Charleston and Charlotte. Often painting into the light, the atmospheric play of colour in the air and on the surface of water, has been a constant source of creativity. His work has a Zen-like quality, tranquil and contemplative.